We are in for a fairly strong SE wind today. This wont effect Chesil too much, but it will certainly raise the surf on Preston Beach. It could be worth a try for some Bass on Preston. Finally I have the first entry for March fish of the month. 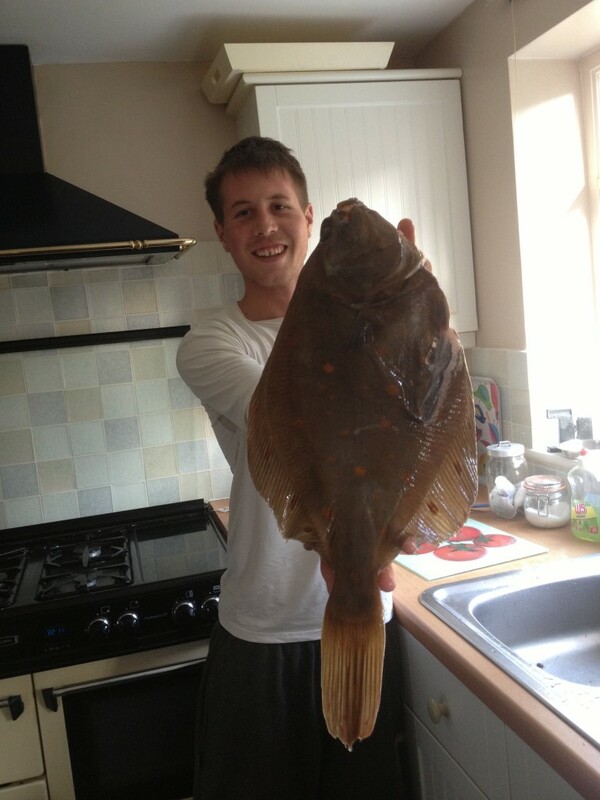 Harry Coxhead managed to land a lovely Plaice of 3lb 10 from Chesil. He was using Ragworm on a single hook clipped down rig. Chesil Beach: Small chop with a 1m swell. There is a lot of colour in the water. Weymouth Bay: MEdium surf running for 100m with a slight colour in the water. Chesil Beach forecast: Harry just proved that there are fish worth catching on Chesil at the moment. If you are looking for the Plaice, Dabs and Rays then the Western end of the beach will be your best bet. Abbotsbury and West Bexington are starting to pick up a bit. Night tides are producing Dogfish and Pout all along the beach. A few Pollock have been caught down in Chesil Cove. Portland: Not a lot happening from Portland. A few Wrasse are possible with bait in the deeper holes around Pulpit. Pollock are always around at dawn and dudk. Portland Harbour: It seems that there are at least a few Flounder in the harbour again. mainly from Sandsfoot Castle. I spent a few hours at Ferrybridge yesterday afternoon and didn’t see any sign of birds working the bait fish. So not a great sign. Weymouth Bay: Preston is still producing some Whiting on night tides and you always have the chance of a Ray from there. Stone Pier is even slow at the moment.